Biden’s treatment of Anita Hill while serving as chair of the Senate Judiciary Committee that asked for her testimony is the first example of his tone-deafness towards women, and specifically women of color. His disrespect of Dr. Hill inflicted deep pain upon women of color at that time. From his refusal to allow testimony from witnesses who could have corroborated Hill’s story to his inability to control disrespect in the hearings, Biden was a key player in shaping how a generation of women approached the possibility (and severe discouragement) of coming forward on sexual harassment and assault. What’s more, his voting record against abortion rights has never fully been scrutinized. Read more. Last weekend, Lucy Flores demonstratedextraordinary courage in speaking out about her uncomfortable experience with then–Vice President Joe Biden. And then, just days later, Joe Biden issued an unimpressive response. In a two-minute-long video, Biden did just what The Onion has made him famous for: trying to use charm to make a big problem seem small. The truth is that this isn’t just about some inappropriate touching. (Indeed, if Biden was truly contrite in offering his informal video response, perhaps his team could have skipped the all-out media assault on Lucy Flores.) What Lucy Flores speaks to is a much larger issue. An advocacy group says the party would be foolish to ignore their voices as the 2020 campaign gets underway. We also hold a substantial share of the eligible electorate in the Sun Belt, which you mention as crucial to an alternative electoral strategy: 21 percent in Georgia; 15 percent in North Carolina; and 11 percent in Texas, according to 2016 data calculated from the Current Population Survey by Catalist. Prominent Democrats can no longer reap the benefits of winning elections on the backs of women of color while diminishing their power. Women of color are America’s future. The Democratic Party can no longer afford to operate otherwise. The writer is the founder of She the People, a national network elevating the political voice and power of women of color. An extraordinary cohort of women of color was sworn into Congress this week. They arrive in a D.C. that is fraught with chaos and uncertainty, largely because of our reckless president. He is holding the government hostage, demanding an estimated $5 billion to build an unnecessary wall at the U.S.-Mexico border. This ransom comes at the cost of an ongoing federal government partial shutdown that is further impairing an already fragile nation. Since Dec. 22, the shutdown has put the lives of government employees (and their paychecks) on hold because President Donald Trump thinks that playing high stakes politics is how he should govern. 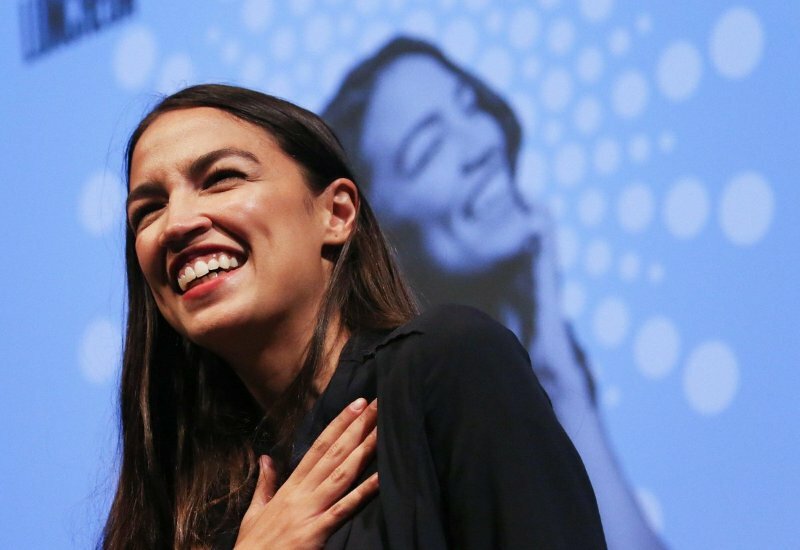 In stark contrast to many establishment leaders, Reps. Rashida Tlaib, Ilhan Omar, Deb Haaland, Ayanna Pressley, Lucy McBath and Alexandria Ocasio-Cortez are showing America what thoughtful governance and political hope can look like. Theirs is not a politics of pettiness; it is a politics of accountability. On the first day of this 116th Congress, these congresswomen of color are calling for a New Green Deal and the impeachment of this treacherous president; they are demanding genuine gun control and transparent oversight of our infrastructure. This is what women of color politics looks like. This squad of bold women of color is arriving in the nation’s capital on the people’s steam, not on the coattails of establishment Democrats. They make comprehensive proposals like a New Green Deal. They support a boycott, divestment and sanctions bill to use tools such as economic sanctions to address violations of Palestinians’ human rights. They insist on serving on the most powerful committees because they are emboldened as veterans of social, economic and racial justice movements. Theirs are the strategies of organizing everyday people to insist on their rights and to accept nothing less. Read more. The numbers are in and the message is clear: women of color won the midterms. The significance of this victory is bigger than you think. Women of color beat Republicans to win congressional seats and sealed a Democratic majority in the House. The Democrats now have the ability to check Donald Trump. In addition to changing the face of power, women of color enter Congress with organizing chops and powerful visions for social justice. This election was a mandate from the new American majority to enact a politics of accountability where our government is pushed to represent Americans who for too long have been left out. No doubt, women of color won with historic firsts: the first Muslim woman elected to Congress; the first black woman from Massachusetts to go to Congress; the youngest person ever elected to Congress; just to name a few. But we can’t ignore that women of color won this year by organizing on the ground, reaching out to communities of color, and subsequently inspiring a record number of voters (for a midterm election) to go to the polls. These women of color represent a new hope for the multiracial progressive majority of voters that is growing every day as the country becomes more diverse. Read more. This week a dream of mine came true, and it wasn’t just my dream, it was the dream of all of our godmothers. On September 20, 2018, I launched the first-ever national summit of women of color in politics. The sold-out inaugural She the People Summit, held in the Julia Morgan Ballroom in San Francisco, drew nearly 600 attendees, mostly women of color, from 36 states. Throughout that day I heard from young and old that, for most of us, it was the first time being in such a warm, loving, inclusive and powerful room. Our speakers spoke truth — and we met and embraced each other. I have been re-watching the brilliance from the stage and my heart is full anew. Elected officials, activists, organizers, campaign professionals, journalists, and others from across the country came together to drive a new conversation that centers women of color as the most important voters, advocates, strategists, and leaders who are dedicated to creating a deeply inclusive and just society, one that centers on love, justice, belonging and democracy. I heard from young and old that, for most of us, it was the first time being in such a warm, loving, inclusive and powerful room. Together we heard from an all-star line-up of powerful speakers, and their videos are now online on Facebook including Rep. Barbara Lee; Rep. Pramila Jayapal; activists Linda Sarsour, Dolores Huerta and Alicia Garza, and candidates Deb Haaland and Rashida Tlaib, among many others. My personal favorite — 10-year-old Lyric from Sacramento, California sharing her words of inspiration and representing her generation. Together, we pledged to turn the summit into a lasting movement for women of color in politics. We’re telling a new story to the nation — and I need your help to reach all corners of our country. To quote Rashida Tlaib, who is set to become one of the nation’s first Muslim congresswomen, in her speech yesterday, forget the Blue Wave. We are the ocean. The summit marked the She the People initiative’s start of a three-year campaign to highlight and organize women of color who are driving a new progressive political and cultural era. Read more. She the People fully recognizes that women of color are leading an inclusive, multiracial coalition that will transform our country’s politics. She the People tells the story of the remarkable candidates, voters, and strategists that are offering a way through our current crisis. This is not the end of our democracy, my friends. Despite the news, there’s something happening in this country that changes everything. Women of color are showing the nation that we are on the cusp of a new progressive and political era in America. 2016 was not the end of the story. Ironically, it was the beginning. Well before 2016, we at Democracy in Color introduced a revolutionary concept in politics – namely, that the key to securing a progressive future for our country is the New American Majority, the multiracial coalition of voters that elected Obama. People of color are 38% of our population and will soon be the majority. We are growing fast and are the most progressive voters, and the most reliable Democrats. It’s been tough work to convince political strategists, donors, and party leaders to change their assumptions and biases about what it takes to win elections. It was difficult to get resources for voter engagement and voter turnout for communities of color. For example, in 2016 Democrats spent 75% of their billion dollar war chest going after white moderate and conservative voters. And we know how that turned out. Trump is President and we lost both Houses of Congress. One stat says it all: 85% of married white women voted for Trump, 53% of all white women. We lost. The old playbook is dead. Read more. Let me tell you. I have launched She the People, a call to our nation to elevate women of color fully into our fierce and loving leadership and collective power. A powerful example lies in the more than 400 black women running for office this year. There’s also been a surge in Latinx and Asian-American women seeking election, as well as a historic number of Native American women. For centuries, black women have been fighting to expand voting rights, even over the direct opposition of some white women of the suffragette movement who fought to deny both black women and men the protections of the 19th amendment. It was Ella Baker, the organizer of the Freedom Rides and sit-ins of the 1960s, who developed the Crusade for Citizenship, a movement to register black voters and protect voting rights in the South. Women of color from many backgrounds have also fought for justice and equity throughout our history. In November 1977, they joined together at the National Women’s Convention to define the first “women of color” agenda. 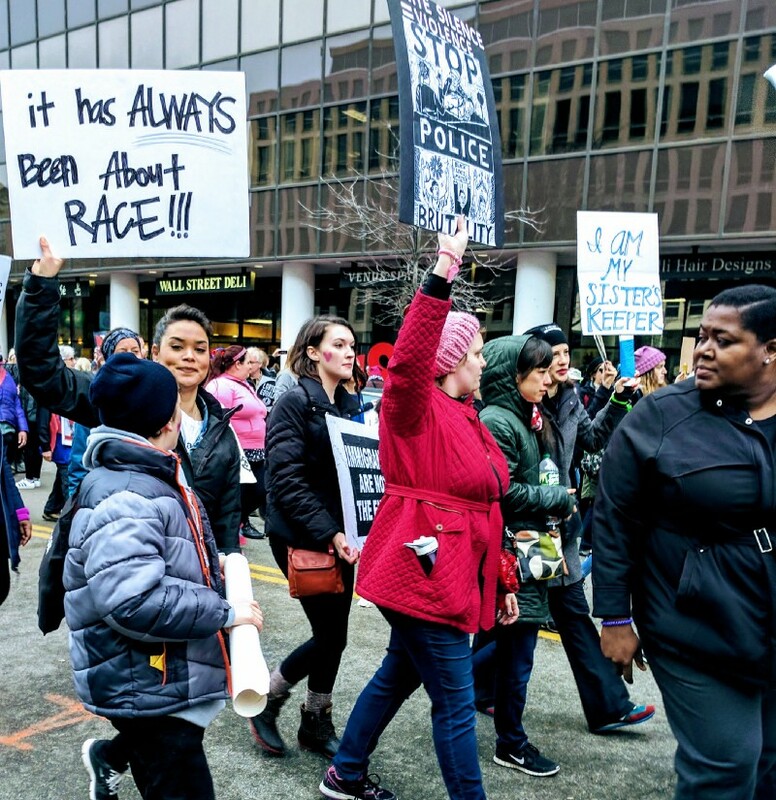 Forty years later, the Women’s March was created and led by a multiracial group of women leaders. Then, and today, women of color have established a strong tradition of organizing across differences. Read more. When early voting begins Monday in the Georgia primary campaign for governor, Stacey Abrams, the former minority leader of the Georgia House of Representatives, may very well take a momentous step closer to becoming the first black woman in the nation to be elected governor. Ms. Abrams will have entered that office lifted by the political power of a multiracial coalition led by the Democratic Party’s most powerful voting bloc, black women. 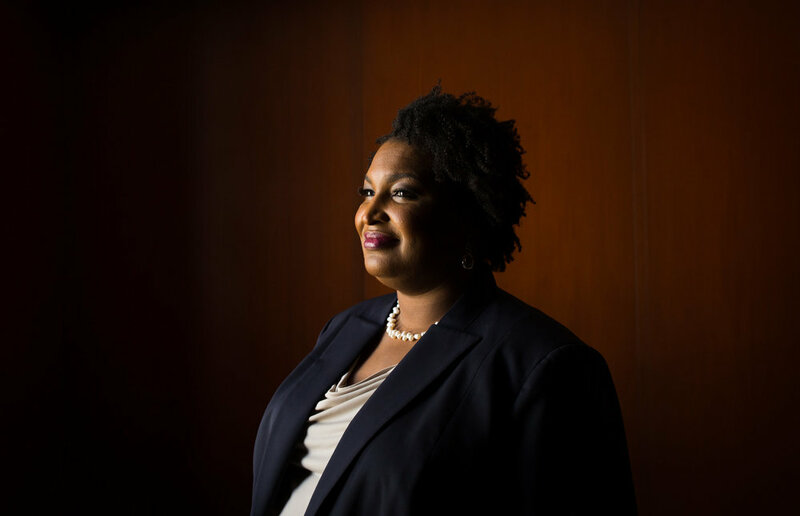 Ms. Abrams’s Georgia campaign represents the first time a statewide candidate is embracing the political hopes and dreams of black women — who make up a whopping 30 percent of the Democrats in the Georgia primary — as the engine of its campaign. If successful, Ms. Abrams’s strategy and approach will establish a political precedent in the South and will subsequently offer Democrats a way to win in Republican strongholds in many parts of the country. From the beginning of the race, the state Democratic Party had its eyes fixed on winning white swing voters, including those who voted for Donald Trump in 2016. Some are arguing that white voters are the best way to close the roughly 215,000-vote gap that has kept Democrats out of the governor’s mansion for the last decade. Perhaps that’s the reason that party leaders recruited the millionaire Democrat Stacey Evans to run against Ms. Abrams. The Evans effort is focused on appealing to white voters as necessary and sufficient to win. Georgia Democrats have drawn from this playbook many times, including the failed candidacies of Michelle Nunn for Senate and Jason Carter’s own failure at a run for governor. Read More. Let's be clear on who deserves gratitude for Tuesday night's Senate victory in Alabama: Black women. For the first time in my 25 years of political advocacy and electoral work, the truth about the central role black women play in ensuring justice in this country is breaking through. Black women are the most loyal Democrats, with the highest consistent turnout of any race and gender. We win elections, period. Senator-elect Doug Jones owes his victory to the exceptionally high black voter turnout, especially to black women. Black women made up an extraordinary 36 percent of Jones’ vote (calculated from exiting polling.) This in a state where the black population makes up close to 27 percent of Alabama yet represented 30 percent of the voters in Tuesday’s special election. A staggering 58 percent of Jones’ votes came from black voters; and the race was decided by a mere 21,000 votes. If black women, and black voters in general, had not turned out to the polls at higher rates than their population, Jones would not have won. Let’s be clear: Jones did not win because his team prioritized black voters, who make up some 73 percent of the state’s Democrats. As of November, according to FEC data, the Jones campaign spent $7 million of $9 million on television ads targeted mainly at white voters, the majority of whom voted for accused child predator Roy Moore. Jones won because black women crafted and executed an independent, under-the-radar voter turnout operation in neighborhoods and organizations across the state and got the job done. They are the reason black voters overperformed in this election; even voters from rural areas of the black belt where neither campaign was present showed up. Jones, and Democrats across the country, should be saying thank you to the 98 percent of black women and 93 percent of black men in that state who turned out in huge numbers to defeat a predatory candidate with racist and homophobic positions. (By the way, 63 percent of white women and 72 percent of white men voted for Moore, according to The Washington Post’s exit polling.) These black voters faced down voter suppression hurdles to win the election. But in particular, they should be saying thank you to black women. Read More. Democrats just unveiled a new platform they call “The Better Deal.” The name itself begs two questions: Better than what? And better for whom? The platform makes a step toward economic populism with a broad commitment to enacting anti-trust measures to protect average people from abuses of concentrated corporate wealth and political power. The hope, presumably, is that the new platform will ramp up voter enthusiasm for the Democratic Party, whose months of anti-Trump messages have not increased Democratic voter enthusiasm. The platform closely resembles Hillary Clinton’s policy plan from her 2016 presidential campaign. But is it a better deal for people of color and does it specifically articulate their commitment to a politics of racial justice? Unfortunately, the platform fails people of color in many ways. The platform doesn’t address racism and its role in limiting economic opportunity for people of color who make up 46 percent of the Democratic Party’s base. It fails to address the structural racism that has historically kept people of color at bottom socio-economically (e.g. a typical white household has 16 times the wealth of a black one). It also fails to clarify the party’s commitment to protect the interests and safety of people of color such as Muslims who face racist violence, and black victims of police violence in cities across America. By not addressing in their new platform the violence and injustice that many people of color face, the party is undermining its own electoral success. I didn’t know what to expect when I boarded the flight to D.C. last Thursday for the Women’s March. But by the time I touched down, I knew that the Women’s March that was converging in a few hours was alive and vibrant and fierce. This movement of women, led by women of color and embracing a broad justice agenda, was the essential expression of our collective joy, love and energy. During my layover in Philadelphia, I had to wait 90 minutes so I sat down for a bite to eat near my gate. CNN dominated the screens above the bar silently blaring headlines about the next day’s inauguration. I hadn’t watched much cable news in the past three months, choosing instead to write, plan, and meditate. But as I looked on, I felt a pit grow in my stomach; as I boarded my flight I wondered how many of these people on the flight were there to celebrate Trump. The post went viral receiving over 10K reactions and hundreds of comments. People on the thread “shouted out” the cities they were on their way to march in. Others cheered one another on.